We all know that the berry family gets two thumbs up when it comes to your health. You've probably heard that blueberries are great for your memory and cranberries are good for a urinary tract infection but what about this new berry taking center stage called the acai berry? It seems that everywhere you look these days somebody or some company is raving about how amazing this little purple berry is. So what's all the hype about anyway? The acai berry actually originates out of Brazil. The dark black-purple berry is a fruit that grows from the acai palm tree (Euterpe oleracea). The palm trees are native to the Central and South American regions. The acai berry has very little fruit or pulp to it. Eighty percent of it is actually comprised of a seed  that is not consumed by humans. Nutritional content of freeze dried acai was studied by researchers and showed just how beneficial this berry is . A 100 gram sample was tested which is probably more than you'll ever consume at one sitting. There was a total of 533.9 calories, 32.5 grams fat (73.9% from unsaturated fatty acids), 44.2 grams fiber, 8.1 grams protein, 1.3 grams sugar, and an abundant array of antioxidants. You can see that acai is an excellent source of "good" fats with most of its fat content coming from unsaturated fatty acids. It's also an excellent source of fiber which always seems to be lacking in the typical western diet. Acai is also low in sugar and the protein contained within the fruit consists of an array of 19 different amino acids. The most significant health benefit of acai, however, is due to its large amount of antioxidants which will be discussed in more detail below. How Does Acai Provide Powerful Health Benefits? Acai can pack a powerful punch when it comes to preventing disease. 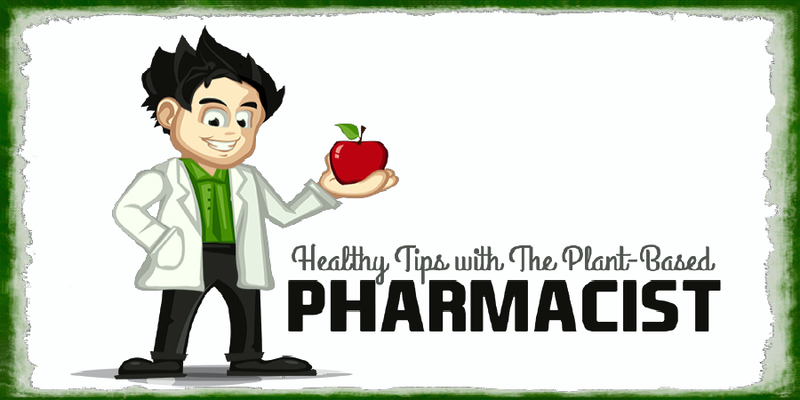 It gets many of its health benefits from the high amounts of antioxidants found within it. Antioxidants are extremely important in warding off the harmful effects of reactive oxygen species (ROS) otherwise known as free radicals. Excessive ROS production has been implicated in the development of many different diseases such as atherosclerosis, cardiovascular diseases, hypertension, cancer, diabetes, neurodegenerative diseases such as Alzheimer's and Parkinson's disease, and various auto-immune diseases . One study from the University of California Berkeley actually showed that human DNA is bombarded by 10,000 oxidative hits per day . That's a lot of damage being done and emphasizes how important it is to consume antioxidant rich foods. 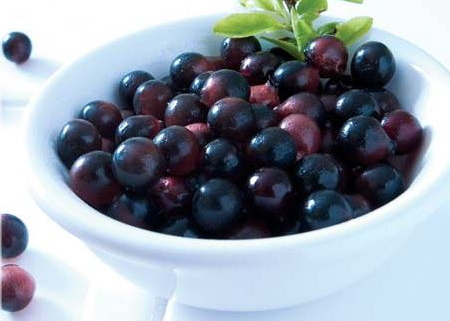 The acai berry is rich in a particular kind of antioxidant class called polyphenols. There are well over 4,000 different kinds of polyphenols that have currently been discovered and one of these polyphenol groups are known as flavonoids. Acai contains around 10% of its overall antioxidant capacity from specific flavonoids known as anthocyanins . Anthocyanins are highly absorbed from the fruit and have led to an increase in total antioxidant capacity in the blood up to 3 fold in one study in humans . Anthocyanins are what give many different fruits and vegetables their deep red, blue, and purple colors. Many different health benefits have been shown in vitro (in research labs) from the antioxidant effects of anthocyanins but more studies need to be done in vivo (involving humans) to confirm these benefits in real life scenarios. 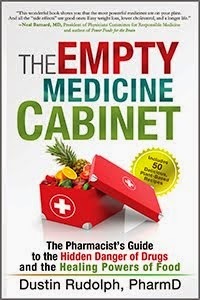 The in vitro health benefits include inhibiting cancer cell growth and inducing apoptosis (programmed cell death) [7,8], reduction in cardiovascular disease , increased glucose tolerance and reduction in cholesterol levels , and the ability to protect against DNA damage due to advanced age-induced oxidative stress . There was also one in vivo study that indicated that anthocyanins are beneficial to your eyes by protecting them against progressive myopia otherwise known as nearsightedness . In addition to the above mentioned benefits of acai there was also an interesting study published in 2006 that showed a number of positive effects from freeze-dried acai . In this study acai was shown to have one of the highest antioxidant activities ever reported by any food against the peroxyl radical as measured by the oxygen radical absorbance capacity (ORAC) assay. ORAC is one of the most common methods used to test antioxidant capacity of different foods. Acai has also been shown to have beneficial anti-inflammatory effects by inhibiting COX-1 and COX-2 enzymes. 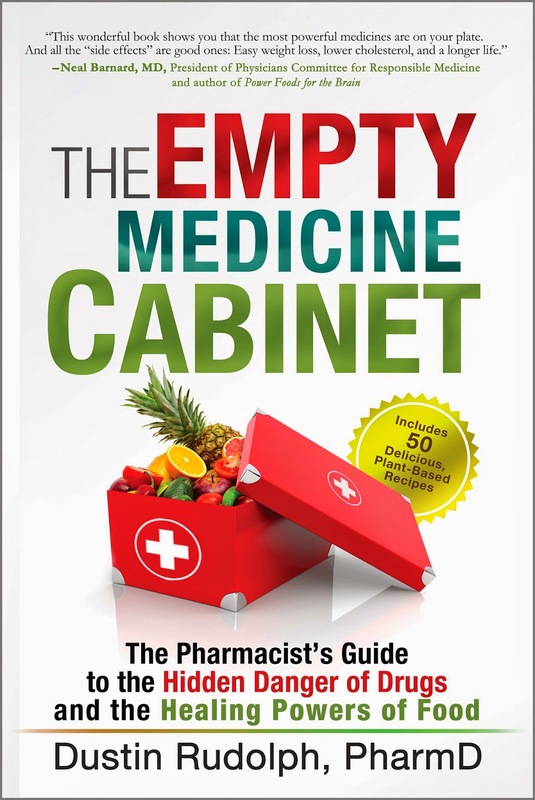 You may know that this is also how many different popular anti-inflammatory medications such as Ibuprofen, Naproxen, and Celebrex work but these drugs can also cause very troublesome gastrointestinal (GI) side effects which can include upset stomach and even GI bleeds. However, with acai you can skip the side effects and still obtain anti-inflammatory benefits as there are no known side effects to consuming this fruit. Acai also contains proanthocyanidins which are another class of polyphenolic compounds. It had a similar content to blueberries in regards to this group of antioxidants . Another important and powerful antioxidant was found in acai called resveratrol but only in low quantities . Resveratrol is more widely known as the main antioxidant found in red wine that provides protection from cardiovascular disease . How Does Acai Stack Up Against Other Antioxidant Rich Foods? Acai clearly has a lot of great things going for it. But is it the best source of overall total antioxidant activity? To help you understand this let's take a look at an excellent study published in 2008 from the Center For Human Nutrition out of the University of California, Los Angeles (UCLA) . It looked at the total antioxidant potency from several different beverages including pomegranate juice, acai juice, cranberry juice, various teas, and more. This study is very practical in nature because many people consume these fruits in a juice form rather than the whole food form. The researchers used four different tests to assess for total antioxidant potency of the various beverages. These included the following - Trolox equivalent antioxidant capacity (TEAC), total oxygen radical absorbance capacity (ORAC), free radical scavenging capacity (DPPH), and ferric inducing antioxidant power (FRAP). They also tested the ability of the different beverages to inhibit oxidation of LDL (bad cholesterol) which is important when measuring for cardiovascular protection because oxidized LDL leads to stiffening of the arteries and atheroschlerosis which increases your risk of heart attacks and strokes. The last thing the researchers looked at was the total polyphenol content for the different beverages. The results of the study were very interesting and indicated that pomegranate juice (PJ) was by far and away the leader of the pack. PJ's overall antioxidant index was 20% higher than any other beverage tested. Acai performed well but was in the middle of the pack in terms of total antioxidant potency. The chart below is courtesy of the Journal of Agriculture and Food Chemistry and shows the different results in graphic form. Many companies are marketing acai as the next big hit in the big business of weight loss products. However, their claims are unsubstantiated. Since acai is not a drug it is not strictly regulated in terms of how it can be marketed so many companies are trying to make a quick buck by over hyping the health benefits of acai. They make it sound like all you have to do is take their supplement or drink mix that contains acai and the pounds will just melt away. A quick search on Pubmed for "acai" and "weight" produced ZERO studies to validate the weight loss claims that these companies put forth. Is acai beneficial for your health which may include an overall weight loss plan? Yes. But a successful weight loss plan with long term health as its goal can only be obtained by a comprehensive understanding of how foods affect the human body. And there's an enormous amount of scientific evidence out there that has shown time and time again that a nutrient dense, plant-based diet comprised mostly of whole foods is the best way to go. Acai has a lot of benefits wrapped up in that tiny little berry it comes in. It's high in fiber, contains healthy fats, and essential amino acids. Most importantly though it has a very high antioxidant profile to help wipe out the onslaught of oxidative damage done to our body by free radicals which in turn leads to a lower risk of developing many different chronic diseases. Acai is not a short cut to dramatic weight loss as some marketing campaigns make it out to be but when added to your diet can be beneficial especially if you already follow a plant-based diet that includes a wide variety of disease fighting foods such as fruits and vegetables. So next time you find yourself wandering past the juice section at your supermarket treat yourself to some all natural acai juice. Your DNA will secretly smile and thank you for it. 1 Schauss AG. Acai (Euterpe oleracea): An Extraordinary Antioxidant-Rich Palm Fruit, Second Edition. Biosocial Publications: Tacoma, 2006. 2 Schauss AG, Wu X, Prior RL, et al. Phytochemical and nutrient composition of the freeze-dried amazonian palmberry, Euterpe oleraceae Mart. (acai). J. Agric. Food Chem. 2006; 54 (22): 8598-8603. 3 Djordjević VB, Zvezdanović L, Cosić V. Oxidative stress in human diseases. Srp Arh Celok Lek. 2008 May;136 Suppl 2:158-65. 4 Ames BN, Shigenaga MK, Hagen TM. 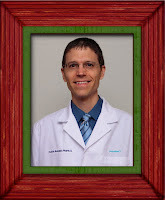 Oxidants, antioxidants, and the degenerative diseases of aging. Proc Natl Acad Sci USA. 1993 Sep 1;90(17):7915-22. 5 Lichtenthäler R, Rodrigues RB, Maia JG, et al. Total oxidant scavenging capacities of Euterpe oleracea Mart. (Açaí) fruits. Int J Food Sci Nutr. 2005 Feb;56(1):53-64. 6 Mertens-Talcott SU, Rios J, Jilma-Stohlawetz P, et al. Pharmacokinetics of anthocyanins and antioxidant effects after the consumption of anthocyanin-rich acai juice and pulp (Euterpe oleracea Mart.) in human healthy volunteers. J Agric Food Chem. 2008 Sep 10;56(17):7796-802. 7 Shin DY, Lee WS, Lu JN, et al. Induction of apoptosis in human colon cancer HCT-116 cells by anthocyanins through suppression of Akt and activation of p38-MAPK. Int J Oncol. 2009 Dec;35(6):1499-504. 8 Li L, Adams LS, Chen S, Killian C, Ahmed A, Seeram NP. Eugenia jambolana Lam. berry extract inhibits growth and induces apoptosis of human breast cancer but not non-tumorigenic breast cells. J Agric Food Chem. 2009 Feb 11;57(3):826-31. 9 Mazza GJ. Anthocyanins and heart health. Ann Ist Super Sanita. 2007;43(4):369-74. 10 Jurgonski A, Juskiewicz J, Zdunczyk Z. Ingestion of black chokeberry fruit extract leads to intestinal and systemic changes in a rat model of prediabetes and hyperlipidemia. Plant Foods Hum Nutr. 2008 Dec;63(4):176-82. 11 Zafra-Stone S, Yasmin T, Bagchi M, Chatterjee A, Vinson JA, Bagchi D. Berry anthocyanins as novel antioxidants in human health and disease prevention. Mol Nutr Food Res. 2007 Jun;51(6):675-83. 12Lee J, Lee HK, Kim CY, et al. Purified high-dose anthocyanoside oligomer administration improves nocturnal vision and clinical symptoms in myopia subjects. Br J Nutr. 2005 Jun;93(6):895-9. 13 Schauss AG, Wu X, Prior RL, Ou B, Huang D, Owens J, Agarwal A, Jensen GS, Hart AN, Shanbrom E. Antioxidant capacity and other bioactivities of the freeze-dried Amazonian palm berry, Euterpe oleraceae mart. (acai). J Agric Food Chem. 2006 Nov 1;54(22):8604-10. 14 Seeram NP, Aviram M, Zhang Y, et al. 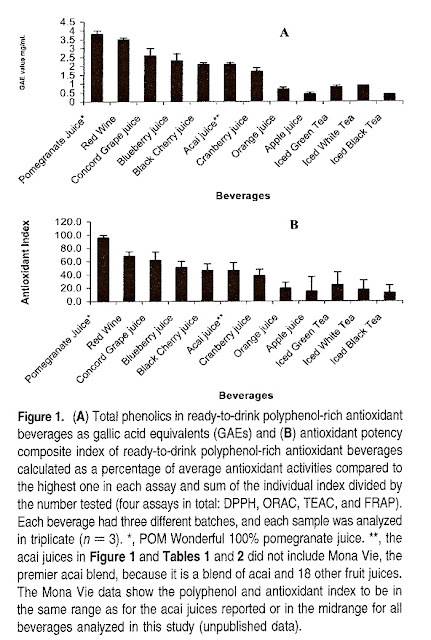 Comparison of antioxidant potency of commonly consumed polyphenol-rich beverages in the United States. J Agric Food Chem. 2008 Feb 27;56(4):1415-22. 15 Das DK, Maulik N. Resveratrol in cardioprotection: a therapeutic promise of alternative medicine. Mol Interv. 2006 Feb;6(1):36-47.